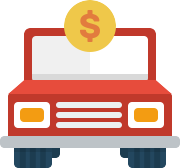 Sell My Car Used Cars, Cash For Cars Used Cars | Are You Selling? Where to start with car sales online? Used car sales and online car sales are a good mix. It reduces the amount of work required by the seller when considering a car sale. There are plenty of car sale websites, there is definitely no shortage of them. You can even find specialised car sale sites that deal solely with one particular model of car! But just which one should you go with? When considering your car and how to sell it, you have to consider the location. Are we talking for example is it a car sale Melbourne? Or maybe it is a car sales Australia? Can you be bothered dealing with Australia wide buyers, that don’t come to your door and pickup your car? Now I’m not against car sale sites, don’t get me wrong, but maybe you should consider a different offering. What if when it comes to selling your second hand car you really don’t need any more. You need to think of a title for your ad on the site. What could it be? “Second car sale“, “Used Second Car on sale Very cheap!”. What do you go with? If you ask me, it’s all too complicated. Why not just give me a call. I can give you a quote; I can come get your car, it’ll be out of that driveway, quick-smart. No bounced cheques, No “no-shows”, and “sorry my loan didn’t come through”. Just straight forward, direct to broker sale, We Pay CASH, We Pay More.